Not a lot of people realise how varied my job as a fisheries officer can be. One day I can be carrying out specialist fish surveys and the next, it will be all hands to the pump to assist a rescue operation for fish in distress. When people think of fish kills, they might assume these mostly happen in rivers but this is not always the case. 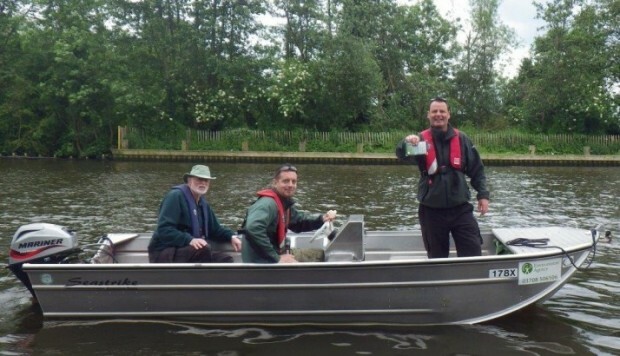 Last summer, our fisheries team in Essex, Norfolk and Suffolk dealt with 13 serious fisheries incidents of fish mortalities in stillwaters over the course of just a couple of months. We want all anglers - whether it's families having a go at fishing for the first time, or seasoned veterans - to be able to enjoy the sport and get value for their rod licence fee. The income from the licence (totalling more than £21m last year) enables us to carry out vital work to protect and improve fisheries, and also funds our involvements in incidents. During last year’s incidents, stillwater fisheries across the three counties saw fish in distress, with some lakes seeing almost their entire stock wiped out. In the majority of fish kill cases in stillwaters, it is down to the mismanagement of fisheries, with issues such as overstocking and poor water quality. On the plus side these can generally be fixed with some advice and a few changes to the day-to-day running of a fishing lake. Once an incident has taken place, we work with the fishery owner or fishing club to support them and help avoid it happening again. One good example of a fishery, which we have worked with is Waveney Valley lakes on the Norfolk/Suffolk border. The fishery has 10 lakes on site, most of which have had no problems. However a couple of the lakes had suffered with algal blooms so once we had taken samples, we advised the fishery to use aeration equipment to keep the oxygen levels stable over longer periods. This almost certainly limited the number of fish which died and the lake returned to normal after the bloom died back. The most important thing to do when a fishery begins losing fish is to report it as soon as possible on 0800 80 70 60. Anybody can report a fish mortality, whether you just fish the water or if you own the lake and the report can be done anonymously. Reporting the incident quickly will give us more time to help save fish and get the fishery back to normal, so that there is minimal impact on the business and its customers. Whether it is visiting fisheries to give them advice or undertaking mortality sample investigations with our National Fish lab, there is never a dull moment in my job and that’s why I love it!